In the two years we have seen an explosion of new mobile apps emerge that allow us to easily integrate live video into your communications plans. Organisations are using these to help build awareness of their non-profit, as a way to connect in real time with customers and to share breaking news, events and even alongside press announcements. However there is an art to creating engaging and professional live video that many organisations have not yet explored. In this workshop you will have the opportunity to learn how your organisation could be using apps such as Periscope, Facebook Live, FireTalk, Huzza, Google Hangouts On Air, BlueJeans Primetime, Crowdcast, Twitch, YouTube Live, Snapchat.com and tools that allow you to live stream from your mobile device to YouTube. Specialised workshops for broadcasting professionals: If you are interested in live video training as a media professional such as for your local or national radio or TV station see an example of a customised workshop here. • How to enhance the production values of your live streams by using third party desk top tools so that you can bring in additional media assets and multiple cameras into your live stream. 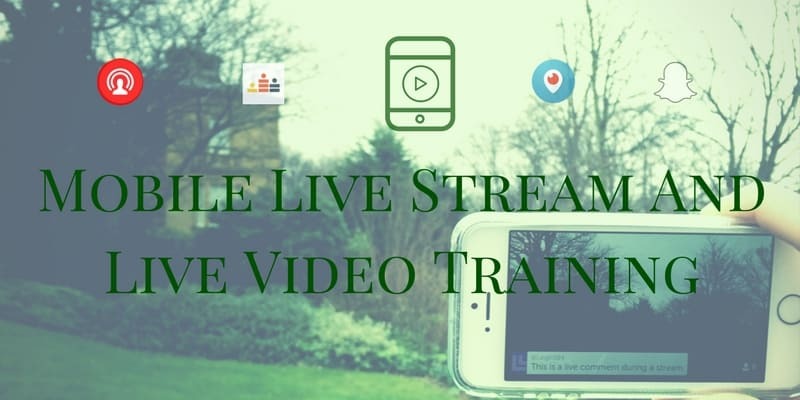 If you want to make sure that your communications plans take into account the best practices of what is working today in live streaming to support your real time communications, then contact Krishna today to explore delivering this course to your organisation in person or online. Why Work With Krishna De As Your Live Stream Programme Tutor? Krishna De is a digital communications strategist and brand journalist. She is a professional speaker, and trains and educates marketing, sales and communications professionals in how to integrate social media into their communications plans. She is the course tutor for the PRII Certificate in Social Media and is a judge on a number of leading Irish digital marketing awards. For several years, Krishna has been teaching and writing about using live streaming for marketing communications and crisis management. She is the co-host of the Live Stream Insiders show where she shares best practice case studies, news and events to help organisations integrate live streaming into their communications plans.